(Last updated August 23, 2018) Video above not currently updated, we are working on an update now! How are your Amazon sales? Not as good as they should be? Want to learn advanced Amazon listing optimization? Click here for a case study where we teardown a real Amazon listing and rewrite the Title, Bullet Points, Product Description, and Search Terms – walking you through the entire process. The first thing I’d ask you is – how’s your product listing on Amazon? Is your Amazon SEO optimized for conversions and organic rank? Did you do sufficient keyword research and learn how to effectively write copy for an Amazon listing that’ll catapult your product to a best sellers rank? Maybe you hired an expert, bought a book on copywriting, or read a few blog posts on it and you think for the most part, everything’s great. 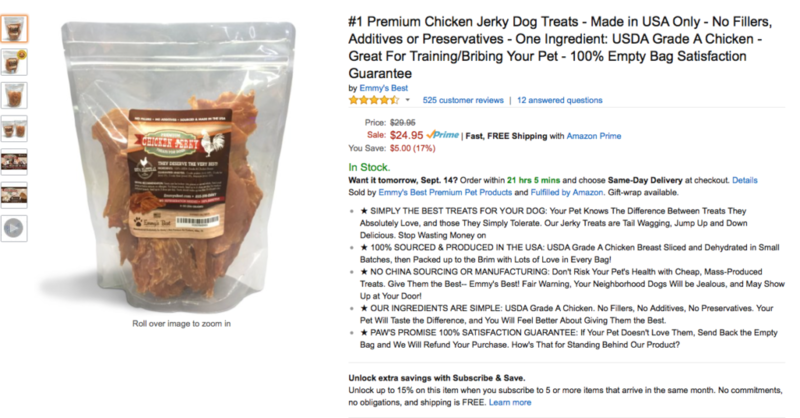 Maybe you even memorized Amazon’s help page on optimizing product listings for search. But, what does it really mean to optimize your Amazon listing? And what goes into Amazon SEO? Do you really know? You should because your business depends on it! 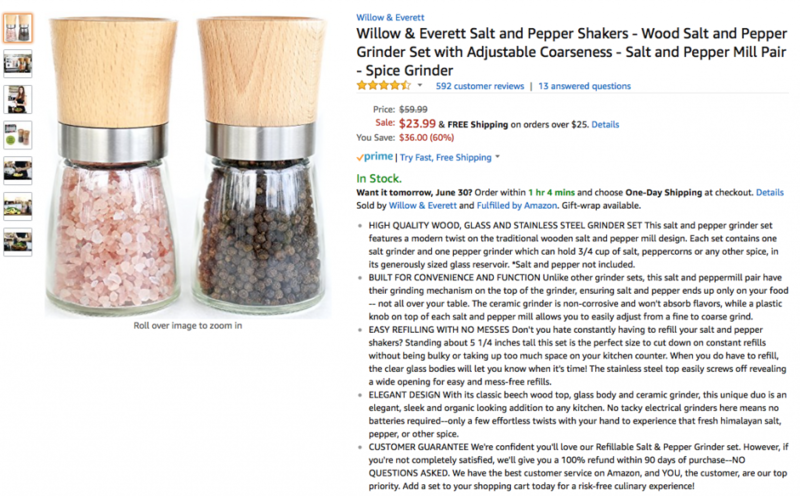 A couple years ago, a friend came to me for help to boost the sales of his product on Amazon. Sales were about 2-3 units a day. The problem was his product research told him that his product should be selling more than 10 units a day. On top of that, his product was high quality – both well made and better than his competition. What was happening here? Why the lack of sales? Additionally, my friend continually spent as much as he could on Amazon ads. He expected that with enough ad spend he could improve organic rank and increase sales. But, throwing money at Amazon PPC wasn’t the answer. In looking at my friend’s product listing I could immediately see that his product’s title was about 150 characters long, and his product’s bullet points were short and uninspiring. It was clear that his listing wasn’t optimized. The first step in selling on Amazon is making sure that people can find your product on Amazon, and listing optimization accomplishes just that. If you simply run ads to an unoptimized listing, you’re leaving money on the table because your sales conversion rate is lower than it should be, and you’re wasting money on irrelevant ads. With an optimized listing, more people will find your product organically through search, and your ad performance will improve because your ads will be more relevant to your product. I worked with my friend and optimized his listing. Within a week he noticed the difference. Sales went to 5 per day, to 10 per day, to 15 per day, and it kept growing. Amazon listing optimization is both an art and a science, but it can be learned and it’s so important to learn it. My team and I at AZ Marketers are listing optimization specialists. We have a process that works and I’m going to share that with you right here. What I’m going to teach you is a method that we’ve refined over years of building Amazon listings. There’s no reason why you can’t become an Amazon listing expert yourself! Follow along to see how it’s done. When you optimize your listing you’ll see more sales and business growth, so it’s worth learning this! If you don’t have the time and you rather have us research and write your listing for you, click here to reach us and let’s talk. The listings we write are made to sell. We guarantee you’ll love the result or we’ll revise it until you do. But, if you have the time and inclination I recommend you learn listing optimization yourself, because once you know how to do it correctly, you can apply these skills for every single product you sell. For now let’s get started, and at the end of learning this material, you’ll have years of listing optimization experience under your belt. What’s an example of a great Amazon listing? Check out this listing below. Does your listing look like this? The majority of people shop on Amazon using search. Customers type in what they’re looking for, and then Amazon shows shoppers products based on the search terms they used. When you write your product listing you’re automatically giving Amazon keywords related to your product. 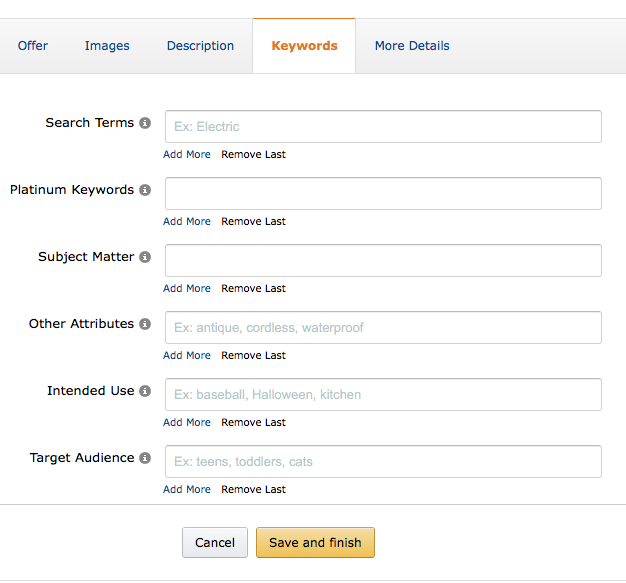 These keywords tell Amazon when they should display your product given a customer’s search. If you don’t use good keywords, or you don’t use enough keywords, then you’re missing out on your opportunity to tell Amazon when to show your product to potential customers. This results in fewer sales. When shoppers do click on your product, they need a reason to buy it. Otherwise, they’ll take their credit card elsewhere. The way your listing is presented makes all the difference in the world if shoppers buy it or not. You need to combine keyword research (science) with writing coherent, engaging, and convincing words (art) about your product that turns browsers into buyers. The reason this gets difficult sometimes is because you need to use as many keywords as you can while maintaining the readability of your sales copy. Now, I’m going to go through what makes an Amazon listing great, how you can optimize your Amazon listings, and how to accomplish the twin goals of listing optimization – people finding your product and people buying your product. After you optimize your listing, then you’ll be ready to take full advantage of Amazon ads, Facebook ads, and all the other ways you can market your product knowing full well that your efforts won’t be wasted. How do more sales and decreased ad spend sound? Good? Good. This process works for both brand new listings and improving existing listings. There’s nothing worse than investing thousands of dollars and months of time into creating and sourcing products only to see them sit in Amazon warehouses for months on end because your missing the critical component of listing optimization! In today’s competitive Amazon environment, you can’t afford not to optimize your listings! Last, remember that a great listing is an asset that will make you money for months or years to come. Invest the time upfront to do this now so you can reap all the tremendous rewards later. Just for fun, so we can get familiar with what great listings look like, here’s another example of a great Amazon listing. Does your listing look like this? Are you ready to optimize your listing? All you need is your internet browser to do research and a place to type out your copy. After each phase where you write copy, make sure to save it first, and then go into Amazon Seller Central to edit your listing. You don’t want to spend hours writing your listing only to lose it if your computer crashes! Remember to save first! Now, here are the complete components of an optimized Amazon listing fully explained. WARNING: if you are editing an existing Amazon listing make sure to first save all currently used text in a safe place before making any edits. Google Drive works great for this! Your title is the most important copy on your listing because everything in your title ranks your product in Amazon’s search algorithm. That means, your very best keywords must be in your title. Additionally, make your title as long as you can to take full advantage of this huge opportunity. The challenge here is to do this without stuffing keywords. You need to use as many high powered keywords as you can while maintaining fluid readability. A title comprised of just a mix of keywords only looks yucky and it will turn shoppers away. For reference, Amazon has a guide to teach you how to use keywords. Also, here’s their guide for writing a great title. I recommend breezing through the information on these guides, but you can do it later. Let’s get back to the nuts and bolts of this. How long can you make your title? Title character limits depend on your category, but most categories have a title limit of 200 characters. If your product has a title limit of 200 characters, then make your title as close to 200 characters as you can to make sure you’re making the most out of your title. Let’s now break this down. [Primary Keyword Phrase] is the essence of your product. This is usually the 1-3 keywords that most accurately describes your product. Say you sell vitamin infused matcha green tea powder. Despite how many vitamins you put into the ingredients, your primary keyword phrase is matcha green tea, because that’s the essence of the product even though you dressed it up with some fancy vitamins. Your [Primary Keyword Phrase] is the highest search volume keyword phrase that’s most relevant to your product. Imagine you and your Grandma are going on a vacation together into the Amazon jungle for 3 weeks. But, before you head out, you need to buy something to help keep the bugs away so the two of you go to the nearest pharmacy. What is she going to say to the customer representative at the store? What is she looking for in the store? Bug spray! Bug spray is the [Primary Keyword Phrase] of the product you need in this example! How are you sure that this is the [Primary Keyword Phrase] of your product? Some might say go to Google Keyword Planner to look or use another software service that estimates Amazon keywords in order to double check it. But, I don’t think that’s accurate enough information. Instead, go straight to the source. Go to Amazon! Go to http://www.amazon.com, and in the search bar, search for your [Primary Keyword Phrase] and see the results. If this phrase is in fact your [Primary Keyword Phrase], then the results of your search should provide a bunch of competing products or similar products. It’s also likely that the products you see in the search results are using your [Primary Keyword Phrase] as the first phrase in their titles too! If you don’t see competing or similar products to yours in the search results, then your [Primary Keyword Phrase] is likely off target. [Feature Keyword] is a highly searched for keyword that describes your product. Your goal here is to use words that have both high search volume and high relevance to your product. [Benefit Keyword Phrase] is the top reason why someone should care about your product. What’s the number one reason it’s going to change a shopper’s life? This keyword phrase also contains keywords that people search for when looking for your product. Say you sell a dog bed. [Style/Color/Quantity If Needed] is if you sell consumables, linen, or another type of product where this information is needed for a buyer to make a decision to purchase. Additionally, [Style/Color/Quantity If Needed] can be a keyword shoppers use to search for your product. If someone wants pink sheets, then they will probably be searching for pink sheets on Amazon, and so you’ll want the keyword pink in your listing if you sell pink sheets. Before moving on from your title, let’s circle back to the [Feature Keywords] and [Benefit Keyword Phrases]. You might have a hard time coming up with these. Here’s how you find them. Go back to Amazon, and type in your [Primary Keyword Phrase] into search. Now click on every listing that shows up on page 1 and page 2 of the search results. Open these up into new tabs in your browser. Then, copy and paste all of the titles of these products into a word processing tool to find the most common keywords used. The thought process here is that your competitors are already selling, and it’s likely that they’ve already found the best keywords! Both of these tools are currently free (Helium 10 has a 30 day trial). For the moment, I prefer Helium 10’s Frankenstein tool because the interface is better. Now, pick your favorite tool, and copy and paste all the titles into it. Delete the duplicate words, and sort them by most frequently used. The keywords used most frequently here are the keywords that you want to use in your title. These keywords you find should be used for your [Feature Keywords] and [Benefit Keyword Phrases]. Please remember that these tools estimate Amazon traffic so use them as secondary sources of research. As of 2018, Amazon does release search data via APIs and so some apps do claim to have real Amazon search data because they use these APIs. While the data might be accurate, it’s hard to know if Amazon will revoke access as they’re always changing Terms of Service. And, Amazon historically doesn’t release search data so freely like Google, so while you should use these sources, take their results with a grain of salt. Once you start advertising with Amazon ads, you’ll receive Amazon advertising reports, and these reports will give you reliably accurate Amazon search data that you can use to improve your keywords. Now – back to the business of your product title. Now, take the keyword search results from Keyword Tool and Scientific Seller, and copy and paste the results into the Frankenstein tool that still has all of your competitor’s titles pasted in it. We use the Frankenstein keyword tool, and copy and paste into it all the titles of our competitors on Amazon, and also the keyword search results from Keyword Tool and Scientific Seller. Now with all of these keywords combined into Helium10’s Frankenstein, we analyze the keywords and look for the most frequently used keywords. We now have what we want, and these most frequently used keywords are our title keywords! This is exactly how you can find the words for your [Feature Keywords] and [Benefit Keyword Phrases]. You might have noticed that I suggest you leave your brand name out of your title. Early on in your product’s lifecycle, unless you’re already well known, nobody is going to be searching for your brand name. Therefore, it’s a waste of space to use it in your title when instead you could be using the space to include heavily searched for keywords that will bring more shoppers to your product listing page. Moreover, your brand equity will be built through incredible customer service, and through the branding on your product. If repeat customers or brand aware customers search for your product on Amazon by your brand name, your product will still top the search results even if your brand name isn’t in your title because it’s in your listing’s back end already. You always want to be attracting new buyers to your Amazon listing all the time. New buyers don’t know your brand name, and so they can’t search for it. Last, ever notice how titles appear truncated on Amazon? Unless you put your brand name in the front of your title, customers likely won’t ever see it! See below. On mobile, titles are really cut off! Because of all this, I think it’s most prudent to not include your brand name in your title. Put your best keywords in the front of your title. Most likely, your [Primary Keyword Phrase] is the first thing in your title. Don’t keyword stuff! Copywriting is an art and a science. Create a readable and attractive title that also uses your best keywords in order of their importance. Use punctuation like periods and commas to help shoppers read your title. Make sure you stay under the character limit. Otherwise your listing will be suppressed (you won’t be able to sell). Compare your title to your competitors. Make sure it stacks up and includes the best keywords. Don’t sweat over your title. You can always edit it! Best to just get it done and then rewrite it later after learning more about your product and market. You can change your title at any time! Product photography can be what separates your product from everyone else. Great photos are critical for an optimized listing. The title is what’s most important in getting your product found. But, your primary product photo is what’s most important in getting your product clicked on! For many shoppers, the first part of a listing they see is the primary photo. Therefore, your product photos need to be attractive and accurate. The amount of photos you can use on your listing depends on your category. In many cases, 7 photos appear on the listing, and 2 more are available if a customer clicks on them for 9 total. It’s in your interest to use all available space you have, so if you can include 9 photos, then upload 9! First Main Photo: Must be a white background, product fills more than 85% of the frame. 3-4 Product Shots: Show your product from all angles. Use a white background. Your customer can’t hold and examine your product, so make sure the photos show them everything as though they are holding it in their hands. 3-4 Lifestyle Shots: Show your product being used by real people, or being used in a way that lets your customer imagine themselves using your product. Create an emotional connection for your prospective buyer so that they see how your product will change their life. Within your Product Shots and Lifestyle Shots, you can also use text on the photos to include features and benefits about your product, coupon codes, or guarantees. All of which help you close the sale. Think of making ‘infographics’ as your product photos. Here’s what I mean by Lifestyle Shots below. Sticking with the green tea matcha powder example. The first 3 photos are Lifestyle Shots. The last photo is a Product Shot that includes text of features and benefits. Look how yummy this tea looks! Who knew tea could be so fun with friends! 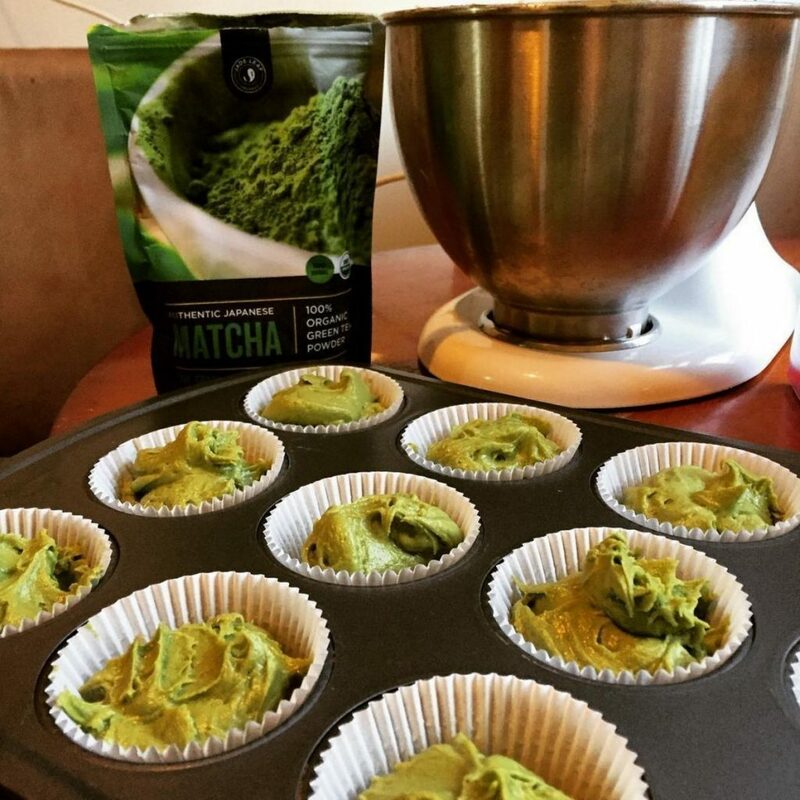 Imagine yourself making matcha cupcakes! 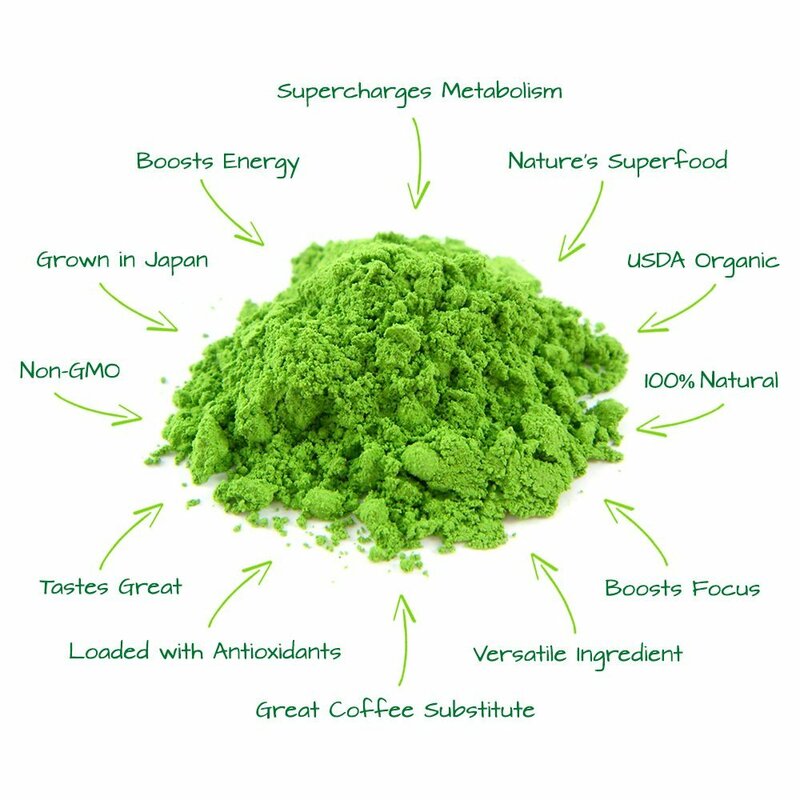 Look at all the benefits of matcha tea! If you’re going to be taking your own images, then you’ll need to review Amazon’s technical requirements here. Otherwise, how do you get product photos? I highly recommend hiring someone unless you already know what you’re doing. And who do we recommend? Upgraded Images. They do great work for a great value. This is not an affiliate link and our company has no connection to Upgraded Images. We’ve just used them before and they’re good! You’ll likely need to hire a graphic designer to make your ‘infographics’ photos for you. We recommend finding a designer on 99 Designs. You’ll find many high end designers there. Great photos are critical for getting sales. Don’t spend thousands of dollars sourcing product to not spend less than $100 to get great pictures! A small investment in photography pays for itself many, many times over. You simply cannot be successful on Amazon without great product photos! Your price needs to be inline with the market in which you sell. Your market will tell you the appropriate price for your product. If your product has more bells and whistles than the average, then think about charging a premium for it. On one end of the spectrum you have Walmart – low prices and few features. On the other end of the spectrum you have Louis Vuitton – high prices and many features. See where your product fits in its market and price accordingly. The price of your product has a HUGE influence on how well it sells. If it’s too expensive then people might think it’s not a good value. If it’s too cheap, then people might think it’s poor quality. You can also take advantage of the ability to put your product on sale within Seller Central over a period of time. Use this feature to drive sales as Amazon will display the sale price which encourages customers to buy. Follow the pink arrow below to see the sale price of this product in big bold font. If you just launched your product or are trying to generate sales, it’s best to keep your price low. As a general rule, low prices drive more sales than high prices. More sales open you up to more opportunities to get product reviews, which in turn help you get even more sales because of greater social proof. Additionally, more sales increase your sales rank, and this helps you increase organic rank too, which then leads to more sales! You need to calculate your numbers so that you’re comfortable with the price of your product while taking into account optimizing for revenue and optimizing for driving sales. Your pricing strategy is a moving target. Don’t set your price and forget it! Look at your sales numbers, your margin, and adjust your price accordingly to your business goals. Reviews are very important. But, we need to understand what they actually do. From what I’ve seen, more reviews don’t increase sales rank. More reviews don’t move your product up in organic rank either. More reviews correlate with sales rank, they don’t cause sales rank. And, there’s a diminishing return to reviews – meaning, the value of a new review decreases over time. Further meaning, your first 50 reviews are far more valuable than your second 50 reviews, and so on. However, good reviews are critical for your listing to be optimized. Notice how I wrote good reviews. Quality reviews are better than the quantity of reviews. And bad reviews can totally crush your sales on Amazon, even if you have a lot of reviews. So, what do reviews do for you? They help you convert shoppers into customers. They offer social proof – that your product is quality, that it is what you say it is. Reviews are like virtual referrals. It’s how a product conveys trust in the online world. We solve the first part with keywords and copywriting. Reviews are a critical component in solving the second part. People make buying decisions based on reviews. No matter how pretty your pictures are, no matter how optimized your keywords are, if you don’t have solid reviews, people won’t buy. Since you sell on Amazon it’s only a matter of time before you get 1 and 2 star reviews. They happen and it’s unavoidable. There’s a vocal minority of people who have negative experiences for whatever reason, and they want to express their opinions by writing a negative review. When this happens just offer great customer service, perhaps even a refund, and refocus your attention on getting more positive reviews. How many reviews you need depends on your product and your competition. Some products might need 100s of reviews to sell well. But, no matter what, I think it’s safe to say that if you have fewer than 25 positive reviews then reviews should be your number one primary focus. If you’re just getting started I recommend enrolling in Amazon’s Early Reviewer Program to get your first reviews. You’ll find this under the Advertising tab within Seller Central. If you’re an established seller and you need more reviews contact us here and we can help you. There are many ways to get reviews and I want to keep this information you’re currently learning focused on optimizing your listings so I’m not going to dive into product review strategy. Moreover, as time passes Amazon is getting stricter and stricter with respect to staying within Terms of Service for getting product reviews. In the summer of 2018, I’ve seen products lose thousands of reviews! But, there are still Terms of Service compliant ways to get reviews. I just want you to know that good reviews are a critical for conversions. The more you convert, the more you will sell. And the more you sell, the more you will gain organic rank for keywords which in turn helps you sell even more. It’s a virtuous cycle as the business folk like to say. Successful selling on Amazon is about increasing sales to build momentum and feed that virtuous cycle to keep spinning the sales flywheel. By the time a shopper is reading your bullet points, they are already on your product listing page. They already searched on Amazon with keywords relevant to your product and your product popped up. They then saw your main product photo and it looked nice enough to convince them to click on your product. Now, they are on your listing. Time to impress them! At this point, they are looking at your other product photos (which are great because we already covered this topic). They then skim your title and see that your product is relevant for what they are looking for. Now, they need to know why they should buy your product. Why should they click on the Add to Cart button? Why is your product better than the competition and why is your product worth buying? You win this sale using both logic and emotion. Make your product make sense in your shopper’s mind and pull on their heart. That being said, Amazon sales pages are short. Your pitch has to get straight to the point. It’s more direct response than branding. Customers are savvy and they don’t believe flowery bogus claims. Be honest and tell people how your product helps them. Last point before we jump in – keywords in bullet points index in Amazon’s search algorithm and help with ad relevance, so spend time on these! Here’s Amazon’s take on writing great bullet points. Now, let’s get to the details. You have 5 bullet points for your Amazon listing. But realistically, you only have 4. Why? Because you should include a money back guarantee as one of your bullets. Everyone includes a money back guarantee. I think it’s now a standard for all e-commerce. If you don’t then you will lose out on sales. Will you get people taking advantage of this? Sure, but it’ll be a small amount compared to how much you’ll lose on potential sales if you leave it out. Also, with Amazon’s A-Z guarantee, buyers already have a money back guarantee, so it’s baked into selling on Amazon already. Then why include it? Because many buyers don’t know about Amazon’s A-Z guarantee. Worried about losing that 5th bullet point to a guarantee instead of loading it with keywords? We’ve never seen a product that had so many keywords they couldn’t fit them into 4 bullet points. If you can’t describe your product in a keyword rich manner with 4 bullet points then you probably need to rework your bullets. We always advise using a money back guarantee in the 5th bullet point. Now, let’s write your 4 other bullets. Brainstorm for yourself the top features and benefits of your product. Look at your competitor’s listings, and see what features and benefits they use. See which features and benefits keep coming up over and over again among the products that are similar to yours. From your list, decide on your four best feature/benefit combinations. Each bullet needs to be a combination of the features & benefits of your product. You’ll lead each bullet with a benefit, so that the bullet is benefit driven, but you’ll drive home each benefit with the features of your product. You should be able to narrow down four distinct feature/benefit combinations you can use for your product. Once you have your four, then you want to order them from most valuable to least valuable. Your most valuable bullet points are those that are the most awesome feature/benefit combinations of your product. Usually these are things that differentiate your product from the competition, or things that give your buyers the most value. The most valuable feature/benefit combination will be your first bullet point, and you’ll descend in importance to your least valuable feature/benefit combination which is your 4th bullet point. Remember that your 5th bullet point is your guarantee. Starting with your first bullet point, or your most valuable feature/benefit combination, write out your bullet point. EASILY DISSOLVES IN SECONDS: Our matcha green tea powder easily dissolves in any liquid in a matter of seconds without stirring. Our propriety process for making smaller powder particles lets you make tea quickly without the need for a stirring spoon, saving you time whenever you want a cup of matcha. Now, go through and write your remaining bullet points. Remember, this is just a first draft, so just get something on paper. You can always make edits later. First, look at your top competitor’s bullet points while you’re writing yours. How can you take their bullet points and make yours better than theirs? Second, you can copy and paste all of your competitor’s bullet points into a tool like Helium 10’s Frankenstein keyword processor. That way you can identify the most commonly used keywords in order to make sure that you don’t leave them out of your bullets. Use your favorite phrases you see your competitors using. Don’t copy them word for word. Rather change them a bit so that they fit with your product and the message you want to convey. When you’re finished writing your bullet points, you want to go back through your competitor’s listings and make sure you didn’t leave out anything essential from your bullet points that they use in theirs. The truth is, your bullet points are going to be similar to your competitor’s because you sell similar products. Realize that this is okay to have a bit of an overlap and don’t worry about being completely different. 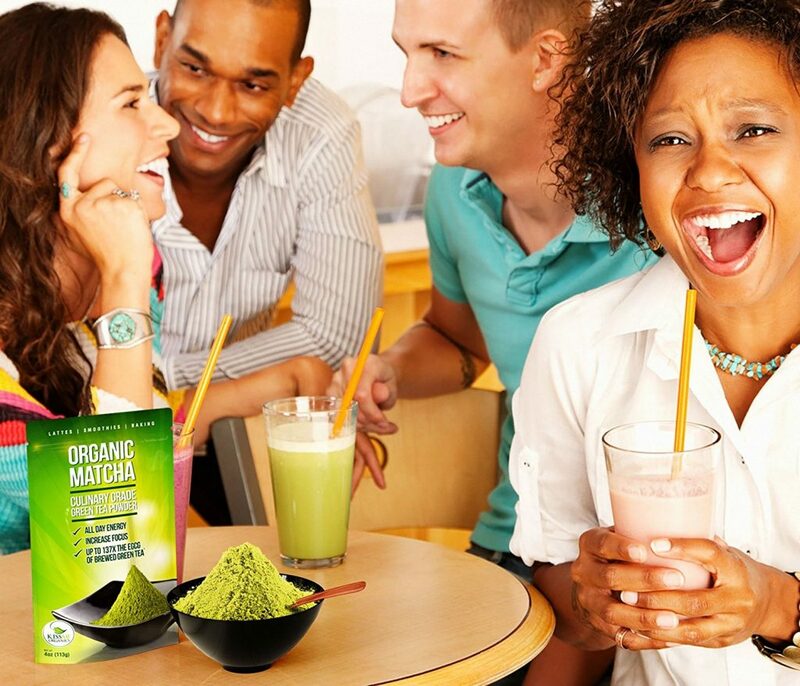 In our matcha green tea powder example, there are tons of competing matcha green tea products. And no matter what, everybody in the space is going to use the keywords matcha green tea over and over again! Amazon gives each product 5 bullet points. However, here’s a way to add a sixth bullet point to your listing in a fully Terms of Service compliant way. In the backend of Seller Central, while you’re editing a listing, some categories display a field called ‘Fabric Type.’ If you have this option it’ll be within the ‘More Details’ tab of your listing. If you fill out this ‘Fabric Type’ field, the content you put into the field will appear at the top of your other bullet points and then you’ll have six bullet points total! My recommendation is to use this at your own discretion. Will adding this sixth bullet point clutter your listing? Are you unable to fit in all the keywords and content you want to fit in the five bullet points you already get? My advice is to use this guide and make your five bullet points as great as you possibly can and not use this sixth bullet point. However, this suggestion depends on your product and category. Just be aware that at anytime Amazon might take away this sixth bullet point so if you do use it you’ll want to check your listing frequently to make sure it’s still there! Your product description is the least important written part of your listing. Because many shoppers don’t read product descriptions. And there is doubt among sellers if the words in your product description index in Amazon’s search algorithm. Nevertheless, you need to write a product description, because at the very least it doesn’t hurt! And, it’s another way you can differentiate yourself from the competition. Moreover, with Enhanced Brand Content (also called A+ Content if you’re a Vendor), you can now tell your product’s story in a more meaningful way with graphics, images, and video that are far superior to just text. Before writing your product description, it’s again important to become familiar with your competitor’s product descriptions. What are they doing well? What can they improve upon? Take notes on the good aspects that you want to include in your product description. To get an idea of keywords used by your competitors, you can again use Helium 10’s Frankenstein tool to copy and paste all of your competitor’s product descriptions to identify the most frequently used keywords. This will give you an idea of what language to include in your description. Let’s now write your product description, starting with a text product description. I’ll cover Enhanced Brand Content next. Before we start I just want to drop a link of Amazon’s take on writing your product description for reference. It’s a good idea to use HTML with your product description too because it makes it easier to read. Below is a Product Description that doesn’t use HTML. Notice the difference? It’s a bit hard to skim this block of text below. When you use HTML it takes up more space on your listing, which gives you a better chance of your shopper noticing and actually reading your product description. To turn your product description into HTML, you don’t need to be a computer programmer. Just paste your text into this website here: https://word2cleanhtml.com. Then paste what it gives you into your product listing’s description. Your product description needs to read well and include keywords relevant to your product. But, you’ll include relevant keywords automatically when you describe your product’s function, features, and benefits so don’t sweat it. Enhanced Brand Content (EBC) is awesome because you can include images in your product description. It also gives you lots of space to add text. To use EBC you need to be Brand Registered. And, I highly recommend you go through the Brand Registry process because Enhanced Brand Content is powerful. Amazon also tells us that using EBC increases sales conversions. This is amazing insider information because conversions and conversion percentage are critical for success on Amazon! Amazon gives you an extra boost in the algorithm for rank and for ad performance if your product sells well. Therefore, you absolutely want to be using Enhanced Brand Content whenever you can! Additionally, you get more keywords you can use with Enhanced Brand Content because each image you use requires alt-text and Amazon actually tells us that your alt-text helps your product appear in search! Because you need to have Amazon Brand Registry set up before you can get access to Enhanced Brand Content you need to start working on Brand Registry immediately. This requires a Trademark, which can take months to acquire so get started on this as soon as possible. To view Amazon’s help page on creating Enhanced Brand Content, click here. To view Amazon’s EBC FAQ page go here. The help page I linked to above is useful in making sure you’re not violating any restrictions that aren’t allowed. It also outlines the image guidelines you’ll need to use to make sure your images are the proper size. Instead of going over the specifications of EBC, which you can find on the help page here, I’m going to discuss the high level overview of how to make your Enhanced Brand Content. Since EBC isn’t an essential part of your listing, a detailed tutorial of creating your Enhanced Brand Content isn’t included in this article. Still, read below for critical tips you need to know about EBC! When making Enhanced Brand Content, you’ll want to make an outline of it first. First, figure out which images you’re going to use and at which size. The best images are those that show the product and also utilize text and graphics to describe your product’s features and benefits. What makes it stand out and why is your product different than the competition? Think of your images as infographics that help sell your product. Lifestyle images with people are helpful but aren’t necessary. Most important is making sure your images convey the value your product provides your customer. Appeal to shopper’s emotions, and employ the help of a graphic designer to make these images for you! Tell a story about your product and brand with pictures. How is your product going to change your customer’s life? The process for making EBC images is very similar to the process for making your product photos on your listing. Second, write the copy so that it aligns with the images you’re using. When writing, the easiest way to do it is to describe your pictures out loud. Pretend a friend is sitting next to you, and you’re elaborating on your selected images. Then, edit down your commentary and fit the copy into the space. Again, you want to tell a story here, and you want to connect to your potential customer on an emotional level. Describe why your product is different and how it’s going to change their life for the better. How do you use your product? Why do you use your product? What is it going to do for me if I buy your product? Answer all of these questions. It takes more work to do Enhanced Brand Content but it also makes you appear more legitimate on Amazon because only brands have Enhanced Brand Content due to the fact that Brand Registry is required. You’ll know that a listing is using EBC if they have images in their product description. However, even though it’s best to use Enhanced Brand Content and it’ll help you compete against your competitors, know that it’s not a requirement for success on Amazon. I’ve seen many listings without Enhanced Brand Content do extremely well on Amazon and still sell thousands of dollars per day. Don’t think that you can’t compete without EBC, because you can! EBC just makes your listing even better than it is without it. What about keyword indexing and rank with respect to Enhanced Brand Content? Most sellers don’t believe Enhanced Brand Content keywords rank in Amazon search (besides the alt-text Amazon tells us about). However, there’s also a doubt whether regular product descriptions rank too. Since early 2017, most sellers seem to agree that neither regular product descriptions nor Enhanced Brand Content keywords rank for search. Amazon is playing with their search algorithm all the time and it’s difficult to always be in front of them. I think Amazon is always tweaking their search algorithm in order to sell more. Remember that your interests are aligned. Amazon wants to sell more and so do you. So let’s trust Amazon in their decision to not index these keywords in their search algorithm. In the end, since both types of product descriptions seem to no longer index, it’s far better to use Enhanced Brand Content because it looks and converts better. It’s longer – so shoppers will likely stop to look at it when scrolling down the page, and it helps you tell your product’s story in a compelling way. EBC helps increase conversions which will increase your sales and organic rank. It also promotes brand identity and loyalty since you can emphasize how great your company is within Enhanced Brand Content. Additionally, Amazon is always updating EBC features and templates to make it more brand and product friendly. You can now even add a video to your Enhanced Brand Content! A video is an amazing opportunity to sell your product, and while it’s an advanced tactic to use after you’ve optimized all other parts of your listing first, it’s something you’ll want to create for your listing. Read more about EBC videos here. I recommend investing the time to make awesome Enhanced Brand Content. When Amazon gives you tools to sell more, use them! Don’t just throw up Enhanced Brand Content in order to have it. Make a plan and make it good. Get a designer to help you. In the case of EBC, a bad impression is worse than no impression at all. While you’re making your EBC, just keep a regular Product Description on your listing and you can still be successful. Then when you’re ready, put up your Enhanced Brand Content. Your Search Terms have traditionally been the second most important copy in your listing in terms of getting keywords ranked in Amazon’s algorithm – after your Title. Shoppers don’t see your Search Terms, so get creative with them! On August 2, 2018, Amazon made another update to Search Terms. Some big changes happened with the latest update in August 2018 and I’ll quickly go over the highlights here. You’re allowed fewer than 250 bytes total, which means you can have up to 249 characters (including spaces) to use for your search terms. Amazon tells us to include spelling variations, not misspellings. In the past we’ve used misspellings in our Search Terms so this is a change. Even though Amazon tells us one thing, it might not actually be the case for our listing. You’ll need to test your listing to see if you’re indexing for the misspellings of your keywords. If you’re not, and they’re important, then put them back into your Search Terms even though Amazon tells us we don’t need to use them. Separate keywords with spaces. Don’t use commas or other punctuation to separate keywords. Don’t repeat words within Search Terms and don’t repeat words from other fields such as Title or Brand Name. Use singular or plural, no need for both. In the past we’ve used both singular and plural, and even today we still do. Even though Amazon tells us we don’t need both, we find in our testing that we do. You’ll need to test your own keywords and indexing for your own products to see if you do in fact index for both singular and plural. Otherwise, you’ll need to include both in your Search Terms. No need to mix languages. In the past we’ve added Spanish keywords to our United States listings because there are many Spanish speaking people living in the United States. Now, Amazon tells us we don’t need to do this anymore. Unless you’re seeing a lot of search volume for specific words in different languages, I recommend heeding Amazon’s advice on this one and instead using the precious real estate you have for Search Terms on other keywords you can use. Now, here’s what I recommend you do. Take your [Primary Keyword Phrase] you used in your title and search it in Google Keyword Planner to find other relevant keywords for your product. Additionally, use Scientific Seller’s keyword tool, Merchant Words, KeywordTool.io, and Sellics keyword tool called Sonar. These are free tools. Merchant Words will ask you to upgrade but you don’t need to given the other free tools you can use. If you want to get into paid tools use Keyword Inspector and Seller Labs’ Scope to do reverse ASIN keyword searches. Take your [Primary Keyword Phrase] and use it to search for keywords in the above listed tools. Export the results and compile all of these new keywords into Helium 10’s Frankenstein or Sporkforge to process them for frequency, because you want to use the most frequently used keywords. Now you need to do some manual work to pick out the best keywords. 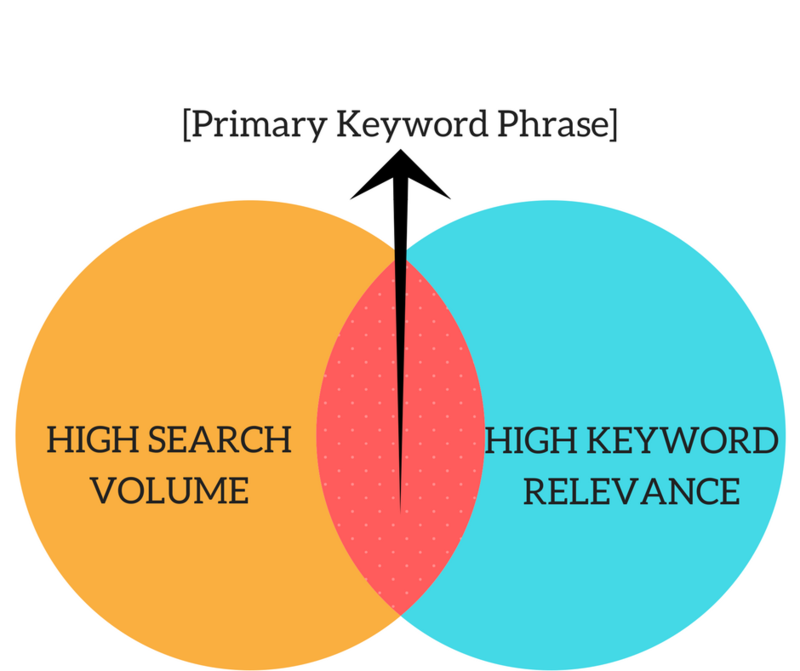 Here’s the art part about finding the most relevant keywords. Usually, the most frequently used keywords are going to be most relevant to your product. The work comes after you filter through these initial keywords, because you’ll have many more keywords on your list than you can use. The reason you’re shortening your list is because of the character limitations you have for your Search Terms. Remember, Amazon only allows you up to 249 characters you can use (including spaces). Use relevant keywords for your Search Terms. Do not include brand names in your Search Terms (yours or your competitor’s). Do not include keywords already in your title or your bullet points. Again, it’s a good idea to review Amazon’s latest guide on Search Terms here, it’ll only take you a few minutes to skim through it. Now, take the list of all the keywords you found from your research for your Search Terms and go through them and find the best keywords. While you’re doing this use a tool like Microsoft Word to keep track of character count. Pick out the best keywords until you’re around 500 characters (including spaces) of keywords. Wait, 500?!?!?! I thought you said 249! Keep reading my friend! Now, use a tool like Helium 10’s Frankenstein and paste into it your title, bullet points, and your list of about 500 characters of keywords. You then want to get rid of the duplicates because you want to make sure that the keywords in your title and bullet points do not appear in your Search Terms. Once you get rid of the duplicates, many of your keywords will disappear and your list will be smaller. If your list is still bigger than 249 characters then delete the weakest keywords in the bunch until you get to 249 or below. If you have fewer than 249 characters of keywords after filtering for duplicates then go back to your list of keywords from your research and add the most relevant keywords until you’re at 249 characters or close to it. Now, put your best keywords in their search phrase order (the order how shoppers search). Put your keywords in order of importance and keep phrases together if you can. Note: If it’s difficult for you to keep phrases together while putting keywords in order of importance then prioritize keeping keywords in order of importance. There’s a discussion among sellers whether keyword phrases within your Search Terms actually makes a difference. In the next section I’ll describe Subject Matter keywords and in those fields we’ll keep keyword phrases together. Now, copy and paste your Search Terms into your listing. Save it and also save your final list of Search Terms somewhere else safe like in Google Drive or Dropbox! Should you repeat keywords if you don’t have enough keywords? Some believe you shouldn’t repeat the keywords used in your listing in your Search Terms because once it’s on your listing, then it’s indexed, and then there’s no need to waste space using those keywords again. Other’s say it’s good to repeat keywords. But, Amazon tells you not to repeat keywords in their guidelines! Yes, this is true, but we haven’t seen any evidence that suggests repeating keywords hurts your visibility with those keywords. I like taking the middle ground on this one. If you have 249 characters of unique and relevant Search Terms you can use, then do not repeat the keywords located elsewhere in your listing. But, if you can’t find a good set of 249 characters that are unique and relevant Search Terms to use, then do repeat your most important keywords, because Amazon is always changing their search algorithm and repeating keywords doesn’t hurt! Better safe than sorry. In the backend of your listing, there are other fields to enter in more keywords besides Search Terms. Subject Matter keywords can be effective. There’s anecdotal evidence among sellers that Subject Matter keywords make a difference in your product’s rank. You should fill in all the Subject Matter fields with your best keyword phrases. A subject matter essentially means ‘what is this product all about?‘ and that of course is typically described in keyword phrases. You can repeat keywords both within your Subject Matter fields and you can repeat keywords that are already in your Search Terms or other parts of your listing. Repeating keywords here is not superfluous since you’re putting in your very best keyword phrases here. Platinum Keywords can be ignored unless your a Platinum Merchant, which is an invite only honor. The other fields are totally optional. They might help. The general rule is that the more complete your listing is the better. These other fields will give you suggestions too. If any of the suggestions are relevant to your product then use them. If the suggestions are irrelevant to your product then put your own keywords in these fields that describe your product. These fields of keywords are for specific uses cases when someone would use your product. These fields should be considered low priority, but it’s a good idea to fill them out. Make sure to list your product in its most relevant category. I’ll explain why below. You might think you should list your product in a category that isn’t its most relevant category. Why would you do this? Because maybe a different category than your product’s true category is less competitive. You might aim for a high category rank in this other category and maybe you’ll get that elusive best seller badge! This type of thinking is a mistake. First of all, some shoppers browse products by category. If you’re in a category that isn’t your true category, then you will miss your opportunity to get in front of shoppers who might buy your product! Second, category affects your ad performance. Say what??? Now, Amazon doesn’t tell us this outright, but there is strong anecdotal evidence from sellers that relevance is very important to ad performance. 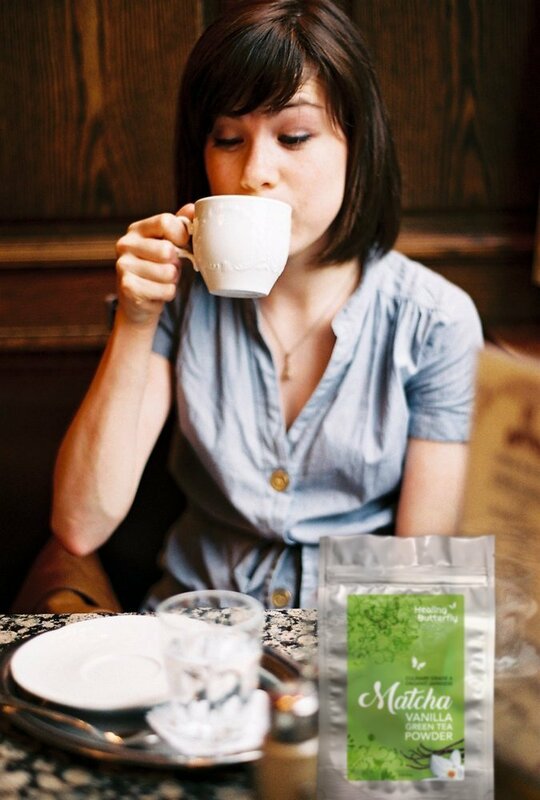 Think about the keyword phrase “green tea” that shoppers might search for. Which category do you think is most fitting for this keyword phrase? Probably Tea or even Green Tea! Amazon is smart. They know that shoppers want to find products as easily as possible, so they want all green teas to be in the Green Tea category to make their customer’s lives easier! 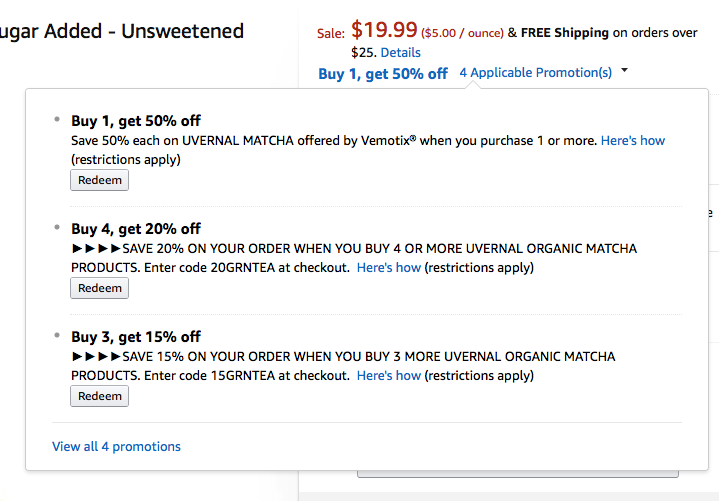 Now, if you go place your green tea in a different category, but, you bid on the keywords green tea in your ads, Amazon is going to get confused. Why is this green tea that’s not in the green tea category bidding on the keywords green tea? It must be that this green tea is a little different than regular green tea, and therefore it’s not as relevant to our shopper as the other green teas in the green tea category. Therefore, let’s charge this tea a bit more money for this ad since we aren’t really sure if our shopper wants this product or not. But, this is the issue with relevance. Correct category placement makes your product most relevant. And you’ll save money on Amazon ads when you categorize it correctly. Last, category affects your organic rank. It’s the same reason as why it affects ad performance. Keywords are relevant to certain categories. Organic rank is query based with keywords. Therefore, organic search results are influenced by product categories. So how do you find the correct category for your product? Just take a look at your closest (and most successful) competitors. Which category are they in? There’s your answer. Be in the same category. Remember to include discounts on your product’s page! Promotions are found within the advertising tab in Seller Central. Most shoppers will never see these. However, some will and some will use them. It could make the difference between you getting the sale over your competitor. And, since it takes up space on your product listing page, it’s another opportunity for you to stop your shopper in their tracks so they have another touch point with you where you get an additional chance to make the case for your product. Recently, Amazon now makes these promotions available to see near the price display. Below is the same product and same listing as the image I used right before. Check out how it tells you there are 4 promotions right next to the price! Summer 2018 Update: Some categories no longer display promotions next to the price but this isn’t a big deal because promotions are still displayed on the listing in their regular position. Still use promotions! For further reading, click here to read Amazon’s guide on making promotions. If you have one product, consider doing a percentage off for more than one unit to reward high volume shoppers. If you have more than one product, consider doing a buy one get one offer so you can cross sell the other products you sell. All things considered, it’s to your advantage to ship products so that they qualify for Prime shipping. Tens of millions of shoppers are Prime subscribers, and many of them will only buy products that are Prime eligible. Amazon spoiled us and made us used to free 2 day shipping! Additionally, there have been studies that show Prime members spend more than non-Prime members, so when you cater to the Prime crowd, you’re selling to Amazon’s biggest spenders. Many sellers also contend that Amazon gives your product a boost in organic rank if it’s Prime eligible. And that makes sense right? If Prime customers spend more money, then Amazon wants to put more Prime products in front of them so they will buy more! Making your product Prime eligible is like putting a cherry on top of your listing! I recommend you participate in the FBA (Fulfilled by Amazon) program so your products automatically qualify for Prime Shipping. Another way is to participate in Seller Fulfilled Prime, but this program maintains strict performance guidelines you’ll need to meet so make sure you understand what you’re getting yourself into before using Seller Fulfilled Prime. The easiest, best, and most powerful way to drive sales to your product on Amazon is through Sponsored Products and Amazon Marketing Services. Also, you get the added benefit of a treasure trove of data from Amazon when you participate in their ad programs. Amazon tells you exactly which keywords shoppers are searching for that convert to sales. This information allows you to constantly be learning what customers are searching for so you can optimize your listing even more. You’ll be able to take this information and insert these high performing keywords into your listing to improve it. Besides driving sales and helping you optimize your listing, Amazon ads help you rank organically too. Let’s go back to the green tea for a second. Say you’re bidding on the keyword phrase green tea, and customers are clicking on your ad and then buying your tea. What message is this sending to the Amazon algorithm robot? It’s telling the robot that your product is what customers want when they search for green tea! 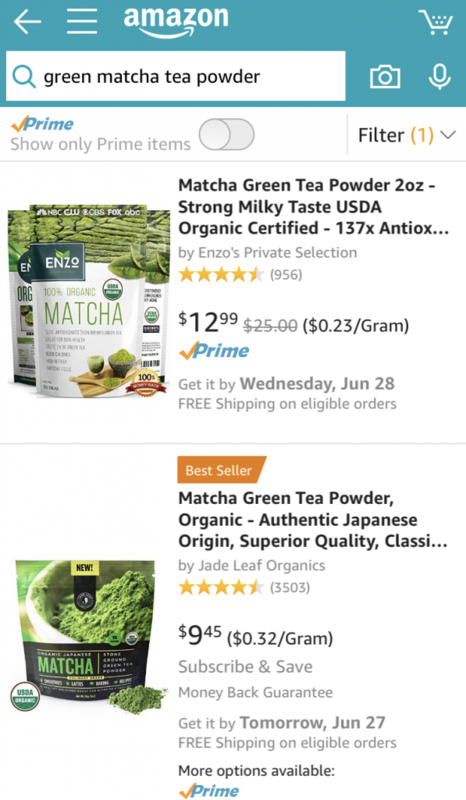 And then our dear Amazon robot is going to increase your organic rank for the keyword search term phrase green tea because it now has proof that your product is what shoppers want when they search for green tea! This ad to sale to organic rank feedback loop can be truly magical when it’s up and running. The more you run ads, the more sales you’ll get, and the more data you’ll get. The more sales you’ll get, the higher you’ll rank organically. The more data you’ll get, the more you’ll be able to optimize your listing with converting keywords, which leads to more sales, which leads to higher organic rank, which leads to more sales…… and so on and so on. Again, this is that momentum virtuous cycle flywheel thing I mentioned before. Running Amazon ads is a process that needs to be managed weekly. Unfortunately, it’s not a set it and forget it situation. Campaigns need to be analyzed 1-2 times per week to make sure everything is running smoothly since the marketplace is dynamic and competitive. You can learn to manage Amazon ads yourself easily. Or, if you rather have a manager to do it for you, contact us here. Back in the day (a couple years ago) you had to optimize Amazon ads using Microsoft Excel and pivot tables, which required expertise with Excel. Now, there are many software solutions available for Amazon sellers to help them manage their ads. Be in touch if you want a recommendation for a good app to help you manage your Amazon ads. Everyone uses software to manage Amazon ads now, even agencies that manage ads for other sellers! It just saves a ton of time. The last part of an optimized listing is good sales velocity. Here’s what Amazon says about Sales Rank (I like saying velocity because rank depends on category). Selling on Amazon is like a snowball. It’s hard to get it started, but once it gets going it just builds on itself. If you aren’t currently selling much then you have a low sales velocity, and you need to do what you can to get it up. The best way to do this is through Amazon ads – Sponsored Products and Amazon Marketing Services. Start running ads to get traffic to your listing so you can make sales. If you need an extra boost, there are launch services out there you can use. But they are expensive because they charge you hundreds of dollars and they make you sell your product for just a buck or two. And while launch services work well, they can be temporary. Another good way to boost sales is by building your own list of buyers. This is an advanced strategy and it consists of you running Facebook ads to build an email list of people who are interested in what you’re selling. Then, you get into email marketing and send emails to your list in order to entice them to buy your products. If building your own email list of potential buyers is too much for you then just stick to running Amazon ads for now. If you can’t get sales velocity up with Amazon ads, then contact us here, because we specialize in this too. We’re big fans of brand building, email list building, and email marketing because doing these activities give you a competitive advantage on Amazon (even though these are off Amazon activities). Contact us if you want to talk about this stuff! We covered a ton just now! Congratulations on making it all the way! These are the 13 aspects of an optimized Amazon listing, and now you are a true expert on Amazon listing optimization! If you do, just think of me on your way to the bank! To be successful selling on Amazon, an optimized listing is a necessary part of your business. Before you focus on marketing, paid advertising, launches, promotions, and fancy funnels, make sure that your listing is optimized with researched keywords and great copywriting. A great listing is a foundational component of a successful product. Don’t open the marketing floodgates before making sure you have a great listing. If you do, you’ll be missing out on sales and will lose money. Our team at AZ Marketers writes listings. We can research and write an optimized Title, Bullet Points, Product Description, Search Terms, and Subject Matter Keywords for you. We can also write your Enhanced Brand Content or A+ Content. We guarantee an amazing listing you love that’s primed to generate reoccurring revenue for years. If you don’t like it, we’ll revise it until you do. Our process is very research intensive. We do everything we can to find every last drop of relevant keywords for your product. Then we take our research and weave it into copywriting that sells. We also do 1 on 1 consulting where you can leverage our Amazon and e-commerce experience built up over years of work. Contact us here if you want to know how we can help you grow your business. Want more tips and tricks for how to become an Amazon listing optimization black belt expert? Considering you’re an Amazon seller, I thought that might be the case! See the box below and sign up for our advanced Amazon listing optimization case study. I take a REAL Amazon listing and go through the entire process of researching keywords and rewriting the listing. The case study gives you a true over the shoulder experience of learning how I research and write Amazon listings. I’d give you a money back guarantee that you will learn something that will make you more money, but the case study is already free!